I put onÂ SirBotÂ website some quite detailed instructionÂ to build aÂ sound sensor, the one used toÂ localizeÂ sound in space. 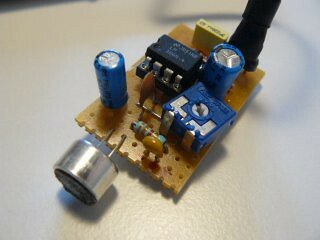 This sensor uses anÂ electret microphone, amplified by aÂ LM386, a low voltage power amplifier. 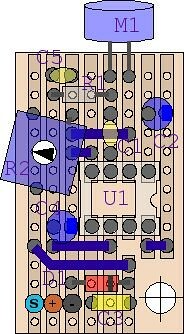 Using a microcontroller such as 16F88 and connecting thisÂ sensor to ADC pins, sounds can be converted, analyzed, even recorded. Finally, I’ve tried to make this sensor as small as possible. Here’sÂ the link to this SirBot’s module page.